We talk with a teenage aviation enthusiast who created an aviation news site and has organized a major avgeek event with American Airlines for National Aviation Day. In the news, we discuss narrowbody production ramp ups, a B-29 receives an airworthiness certificate, the CSeries, and EgyptAir Flight 804. 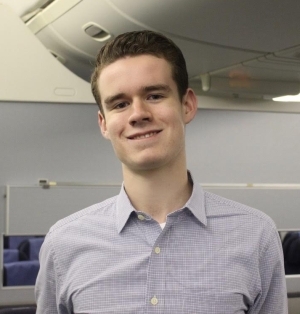 Ryan Ewing is the teenage founder and president of AirlineGeeks.com, a news site where a team of young journalists create the content. Most of them hope to work in the aviation industry as professionals when they grow older. 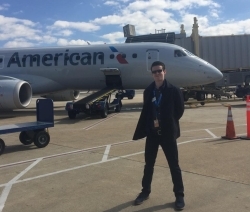 Ryan is quite knowledgeable about the airline industry for someone his age, and he’s been working with American Airlines to create AAviation Day 2016 on National Aviation Day, Friday, August 19th, 2016. On that day, American will open certain facilities to #AvGeeks who have registered for unique tours and events. The facilities include PHL, DCA, MIA, CLT, LGA, DFW, American’s HQ and Integrated Operations Center in Fort Worth, the Tulsa Maintenance Base, ORD, LAX, LHR, and Envoy’s HQ in Irving, Texas. We first met Ryan in 2013 at the Smithsonian’s National Air & Space Museum, Steven F. Udvar-Hazy Center during the 9th annual Become a Pilot Family Day and Aviation Display. That the event that is now called the Innovations in Flight Family Day and Outdoor Aviation Display. 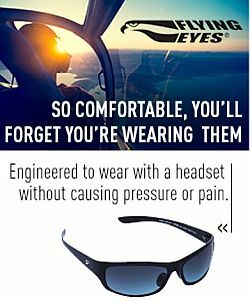 Ryan will have a table at this year’s Innovations in Flight Day June 18, 2016. He plans to focus on encouraging young people to develop interests in aviation. Visit AirlineGeeks.com, and follow the team at @AirlineGeeks and on Facebook, Instagram, and YouTube. Ryan tweets at @flyinghighryan. Boeing has spent $1B to create a 1.2-million-square-foot 777X center in Everett, Washington to manufacture wing components for that airplane. The 110-foot composite wing includes an 11-foot folding wingtip, which will be built by Boeing in St. Louis and sent to Everett for assembly. Power for the 777X comes from the advanced GE9X engine which has the largest fan that GE has built. Pratt & Whitney must nearly triple its output of engines to meet demand for the GTF and engines for the F-35 and the KC-46 tanker. To meet the production ramp-up, P&W has invested $1B and created a 600,000 square foot facility in Manchester NH, operated by United Parcel Service (UPS), that will receive parts from suppliers, kit them, and deliver them to manufacturing and assembly plants around the world. The FAA has issued a Special Airworthiness Certificate to the B-29 known as Doc, which has been undergoing restoration Wichita since May 23, 2000. Next, the restoration team will request access to a runway at McConnell Air Force Base in Wichita for test flight operations. See, Photo Gallery: Doc’s Airworthiness Celebration. In 2010, Republic Airways placed 40 firm orders and 40 options for the CS300, with deliveries initially scheduled to start in 2015. Bombardier has kept the order in the backlog, but removed it from their production schedule. Frontier filed for bankruptcy protection in February. David begins giving the histories of aircraft requested by listeners in Episode 400. The first topic will be done in two segments for Michael and Tony. In part one, David talks about the development of the Mirage III. Next week he’ll cover the variants and conflicts fought with the the Dassault jet. 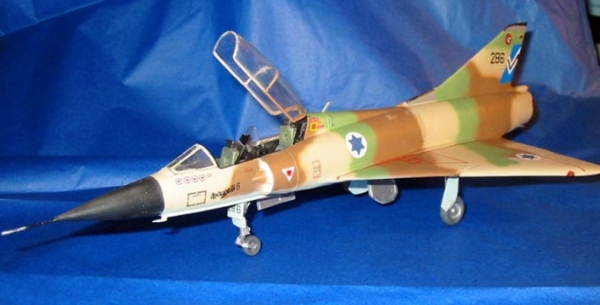 Mirage IIIB 286 was from 245 Squadron “Negev” and is the Highest Kill Mirage IIIB with 4.5. 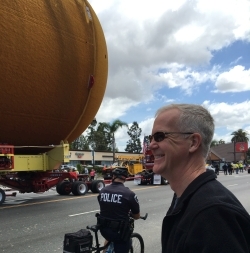 ET-94 is the last flight-qualified external tank in existence and was donated to the Science Center by NASA. 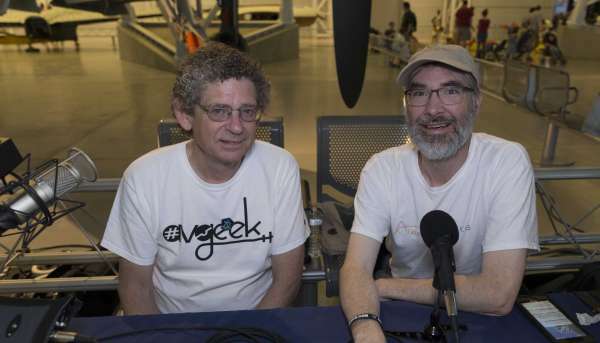 The California Science Center’s Samuel Oschin Air and Space Center will be the only place in the world that people will be able to go to see a complete shuttle stack—orbiter, external tank, and solid rocket boosters—with all real flight hardware in launch configuration. Video: John Waldron Memorial, from John Mollison. Aircraft photos, and more photos from Ryan Hothersall. The Airplane Geeks episode archive kindly provided by Willem. Air National Guard Units Interested In V-22 Osprey via Tom. This entry was posted in Episodes and tagged AAviation Day, American Airlines, B-29, B777X, CSeries, Innovations in Flight, Pratt & Whitney on May 25, 2016 by maxflight.